An army spokesman said that they had also targeted "terrorist spots containing weapons and ammunition". 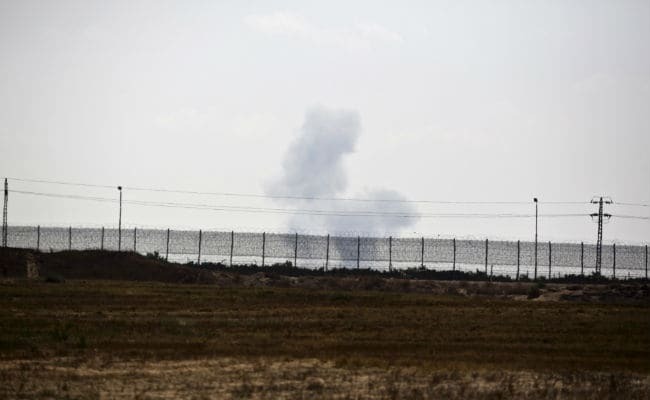 Cairo: Egyptian air force jets have destroyed vehicles used in the Sinai mosque attack and "terrorist" locations where weapons and ammunition were stocked, the army spokesman said Friday. The planes "destroyed several vehicles used in the attack," Tamer el-Refai said, adding they had also targeted "terrorist spots containing weapons and ammunition".